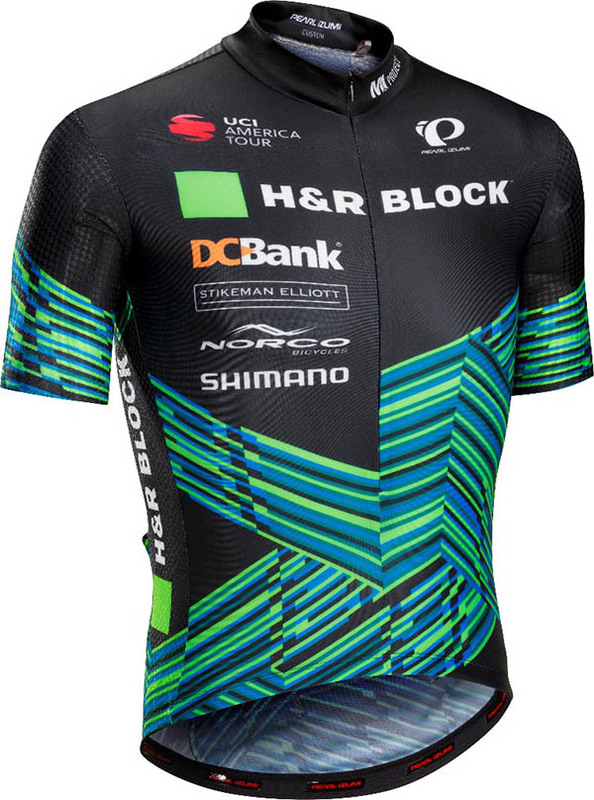 The H&R Block Pro Cycling Team, in partnership with Pearl Izumi, have created a new fresh look for the 2017 season with the team's official UCI Racing Kit and Coffee Ride Kit. The official UCI team jersey will be complemented with a camo-style kit for the team's coffee, VIP and media rides. "Pearl Izumi has been an integral and valued partner to the team for the past three seasons", says Team Owner, Mark Ernsting. With Pearl Izumi's continued effort to integrate innovative technologies and incorporate their extensive aerodynamic testing into their fabrics and stitching patterns, the team knows that they are riding in the best cycling apparel available. As per Pearl Izumi's mantra, "We never invent for the sake of inventing. We innovate to learn. To push boundaries. To build greater products". 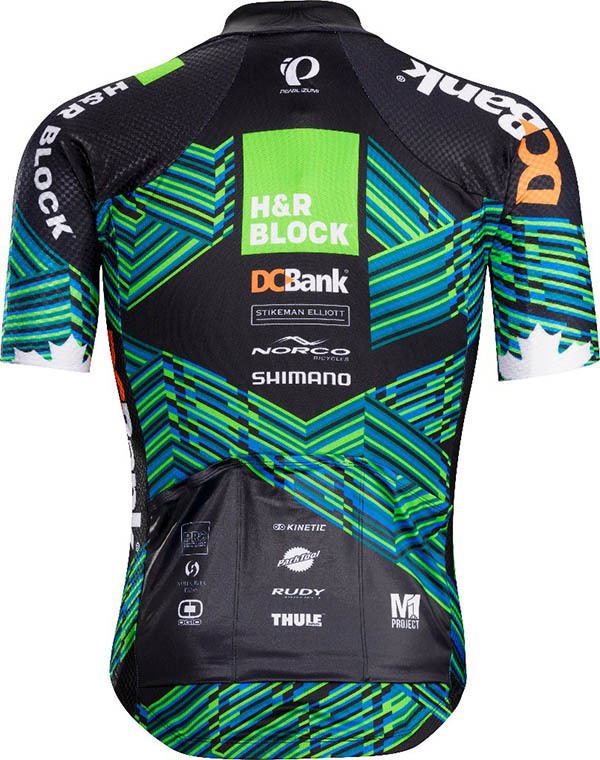 "We are very happy with how the 2017 H&R Block Pro Cycling Team kit came together. Our in-house art department worked closely with the team to produce a design which complements the aerodynamic fit and function of our PRO level team kit", says David Blondel, Marketing Manager, Pearl Izumi Canada. "Looking forward to the upcoming season as the team continues toward their goal of achieving success on the road, and helping to grow the sport of cycling within Canada as a whole".